Craig Hyland; Simon Madden, Dave Webster, Conor Kenna, Luke Byrne; Gary McCabe, Patrick Cregg (Mikey Drennan 51); Brandon Miele, Ryan Brennan, Gavin Brennan (Marty Waters 81); Danny North (Gareth McCaffrey 74). Brendan Clarke; Ger O'Brien, Kenny Browne (Jason McGuinness 90+2), Lee Desmond, Ian Bermingham; James Chambers; Chris Forrester, Killian Brennan; Conan Byrne (Jack Bayly 90+4), Jame McGrath (Morgan Langley 81), Aaron Greene. 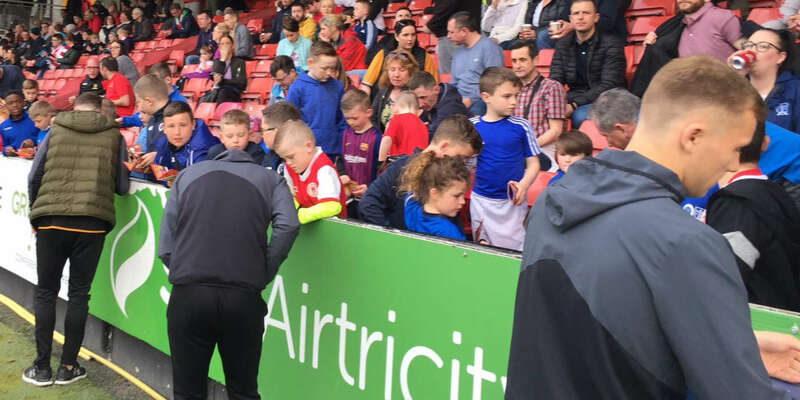 Craig Hyland had a night to forget at Tallaght Stadium as a couple of howlers by the Shamrock Rovers goalkeeper gifted St Patrick's Athletic a record equalling eighth successive league win to ignite their title challenge. 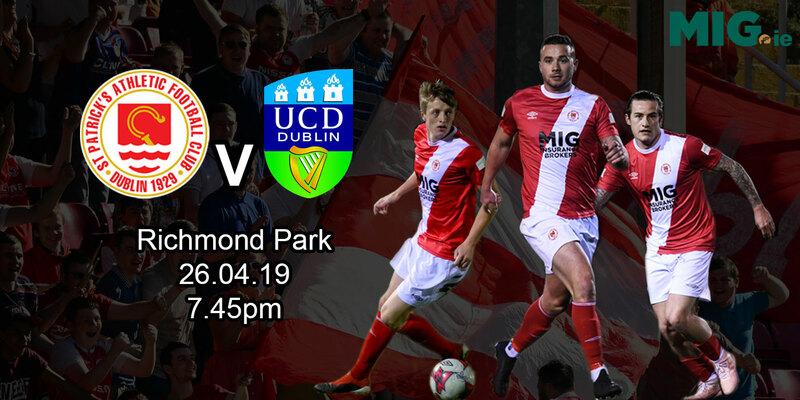 Rovers finished with ten men as a first home defeat in the league in over a year means their Dublin rivals edge three points ahead of them in third place and are now nine points behind leaders Dundalk whom they travel to meet on Monday week. Having made seven changes for their defeat on penalties to the same opposition on Monday, it was no surprise to see Rovers' boss Pat Fenlon revert to type with a much stronger line-up. Stalwarts like skipper Conor Kenna and Patrick Cregg were among the six changes, including striker Danny North, who had scored the winner against St. Patrick's on the opening night of the season. Brendan Clarke and Aaron Greene came back in from the start in St. Patrick's only two switches from their shootout victory at the same venue earlier in the week. A scrappy clearance from a Gary McCabe free kick presented Rovers with the first sight of goal inside two minutes, Cregg just getting under his shot from the edge of the area to send it well over the top. 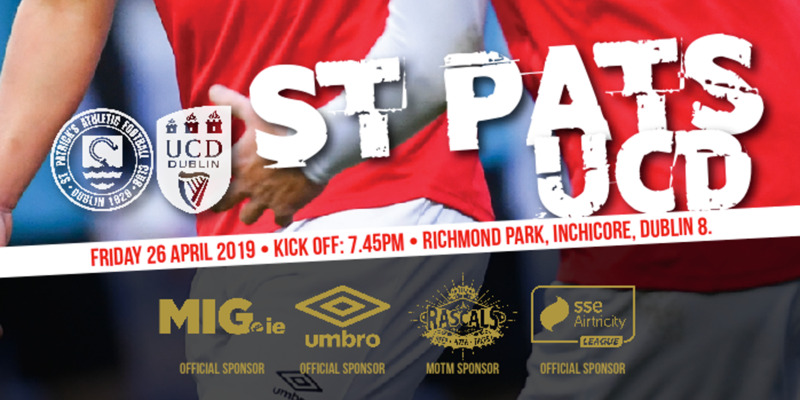 While St Pat's then enjoyed a decent spell with the ball, it was Rovers who threatened again with the first incisive move of the game on 12 minutes. Gavin Brennan and Cregg combined on the right for overlapping full-back Simon Madden to get in behind to volley narrowly over the bar. Cregg was pivotal again four minutes later, setting up defensive midfield partner Gary McCabe who drilled wide from distance. But McCabe was fortunate at the other end just minutes later. His back pass fell short to put St. Patrick's striker Jamie McGrath clean through on goal. Hyland saved his team-mate's blushes with a good stop with his feet. If Hyland deserved more of the credit in that instance, 18-year-old McGrath could have no excuse for a bad miss on 27 minutes, somehow planting his downward header wide from skipper Ger O'Brien's pinpoint cross from the right. It was all St. Patrick's now and three minutes later Killian Brennan cracked a stunning 35-yard drive off Hyland's right-hand post. In an incident packed first half, Brandon Miele might then have put Rovers ahead in the final minute of the half. Gavin Brennan set up his fellow midfielder who never got hold of his shot which was comfortable for Brendan Clarke. It was anything but comfortable for Clarke's unfortunate opposite number Hyland when he presented St Pat's with the lead out of nothing three minutes into the second half. Chris Forrester's low drive from distance looked a simple gather for the Rovers keeper, but it squirmed through his hands and over the line for an awful clanger. Rovers sacrificed the impressive Cregg to bring on Mikey Drennan and went two up top to chase the game. Drennan, through from North's ball, might have done better that shoot wide on 63 minutes. Again, on 78 minutes, Drennan had a superb chance to level. Put clean through on goal, this time the striker's tame effort was deflected away by Clarke. It got a little hectic in stoppage time with Rovers' substitute Marty Waters sent off on 94 minutes for getting involved with Aaron Greene. A minute later, St Pat's broke for their second goal. Hyland committed himself out on the touchline and didn't make the ball. St. Patrick's substitute Morgan Langley round him to run in and slide the ball to the unguarded net.